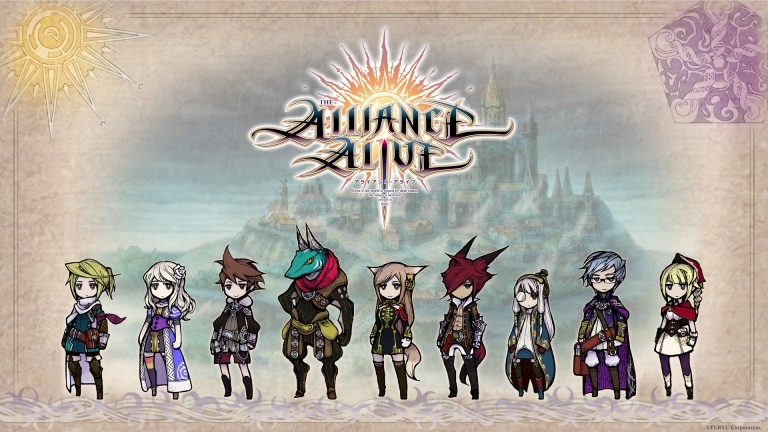 The Alliance Alive is the newest game to come from the developer of Legend of Legacy, FURYU Corporation! The game is coming out March 27th, 2018 and ATLUS was amazing enough to send me a review copy! I received it about a week ago and just been incredibly swamped with things to do so only played a few hours so far. Definitely will try my best to get the review out by Tuesday! The quite enjoyed time I spent with Legend of Legacy, so come back and see what I thought of The Alliance Alive! The Alliance Alive is crafted by some truly legendary talent! With the writing done by Yoshitaka Murayama(Suikoden 1, 2 & 3), game design by Kyoji Koizumi(Ever Oasis, Legend of Zelda: Ocarina of Time 3D, Multiple Final Fantasy Games, Romancing SaGa) directed by Masataka Matsuura (Legend of Legacy), and amazing music that I just want to have on in the background, Masashi Hamazu(Many Final Fantasy games, SaGa). Every time I have picked this up and played, I don’t want to put it down, or I put it down and do not close the lid, just to listen to the music. Be sure to keep an eye open for this one! You can check out the official site to learn more! Next story MG RGM-79DO GM Dominance Up for Preorder! Previous story Super Smash Bros Switch will be at E3!